A great series of books for your kids! There’s a great series of books I initially got for my third grade classes to have as reference material for a Greek mythology lesson I concocted when I first started teaching. Over the years the lesson has grown and evolved and so has the series! 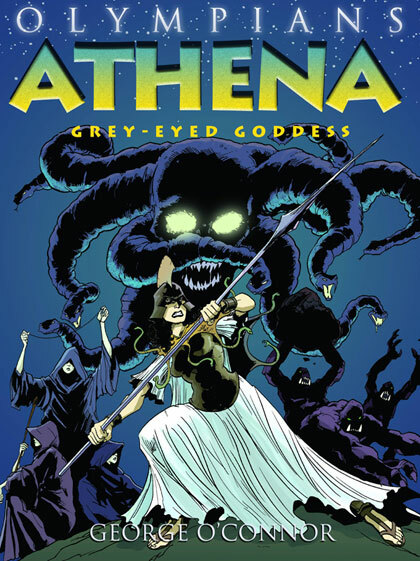 Olympians is by mastermind author and illustrator, George O’Connor, and highlights the Greek gods and the most popular myths they’re associated with, told in comic book form. Not only that, but each book ties continuity with past books, showing how the stories entwine with others. I would have loved to have read the books as a child, but I’m no less grateful that I have them as a tool for my classroom.